In the leadup to A&E's acclaimed movie adaptation of Stephen King’s Bag of Bones, Dark Score Stories provided an interactive prequel to one of the horror master's most beloved novels. 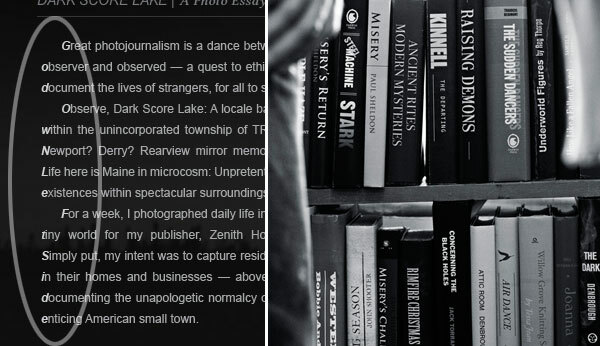 Dark Score Stories comprises seven interconnected chapters, featuring the residents of Dark Score Lake, the small community in which Stephen King’s Bag of Bones takes place. 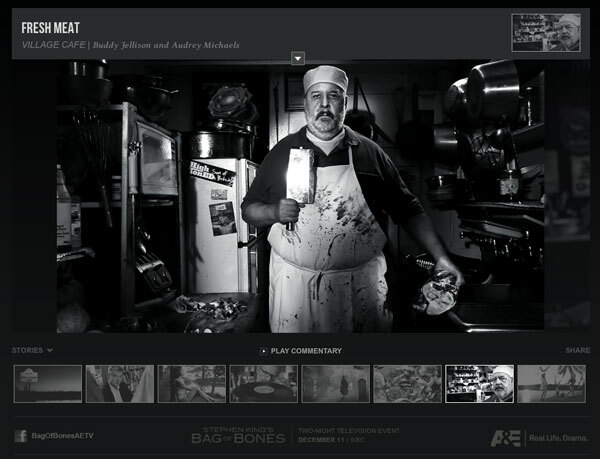 Set one year before the events of the movie, this interactive prequel combines small town photojournalism and NPR-style audio interviews, allowing the characters to discuss their lives, their town and the dark secrets it keeps. These subtle – and deliberately unsettling – animated GIFs provided striking content which was widely shared by our audience. They also generated considerable media coverage. To tell each story, award-winning Danish photojournalist Joachim Ladefoged created a series of beautiful monochrome images, shot documentary-style. Accompanying each photo essay was an authentic-sounding audio “interview” featuring the film’s stars, speaking in character. The combination of photography and audio created a convincing illusion that Dark Score Lake – and its inhabitants – were real. Most chilling of all, when viewed in sequence, these interviews became increasingly dark, as the curse of Dark Score Lake is explored through the eyes of those who experience it. To provide layers of engagement for different audiences, a series of puzzles were embedded within the essays. By scanning the letters running down the left hand side of each chapter introduction (a puzzle system that also forms part of the movie plot), clues could be found that led to exclusive video sequences and GetGlue stickers. Additionally, for fans of the Stephen King Universe, over 150 “artifacts” that related to King’s other works were hidden within the photographs, providing fan communities with a visual scavenger hunt on which to collaborate. Finally, 300 hardcover portfolios of select images were shipped to journalists, bloggers and influencers, resulting in national press coverage, from the LA Times, Fast Company, USA Today, Wired and Entertainment Weekly. Widescale press coverage and fan community engagement combined to create strong word-of-mouth and social network conversation in advance of the premiere, leading to the highest viewing cable audience of a miniseries event since 2008. 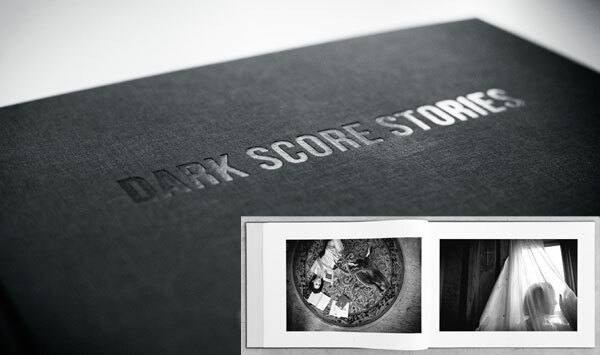 Dark Score Stories can be explored here.